What makes Wallmonkeys wall graphics the best money can buy? - Every graphic is custom printed, one at a time, just for your wall, in Gaithersburg, MD, USA. We use the highest quality printers, inks, and materials available. 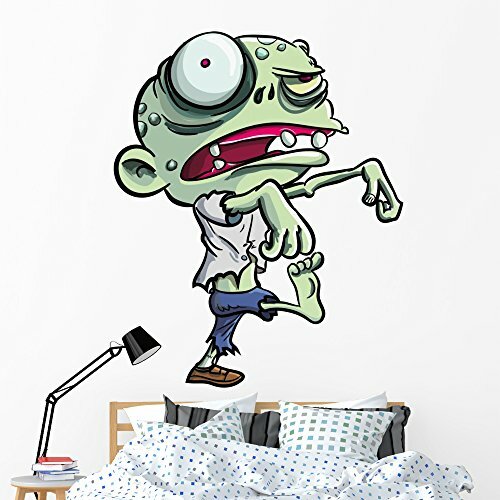 Our peel and stick wall decals and simple to install. Remove our decals and reapply them in another location with ease. Wallmonkeys are wall safe, they will never leave a mark, or damage your walls. Wallmonkeys has the largest selection of adhesive wall decor on Amazon. Decorating your home has never been easier with hundreds of thousands of images to choose from. Search our collection to find exactly what your heart desires. Have you measured your wall? Our adhesive wall graphics are printed on-demand, so PLEASE double check the size of the design you are ordering prior to clicking the 'ADD TO CART' button.